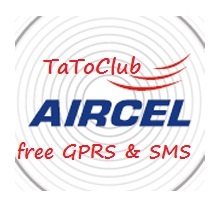 Aircel free 3G Unlimited Plan for June/July 2013 by aircel telecom network. Aircel launch a new offer for all aircel user, free 3G data Plan for 30days. You can access free Internet such as Social Networking Sites such as facebook, twitter and Google+. But You can only use this plan between 6 am to 9 am daily. STEP 1 :- Activate 3G on your Aircel mobile. STEP 3 :- Now Dial *122*456# and Wait for Approval.